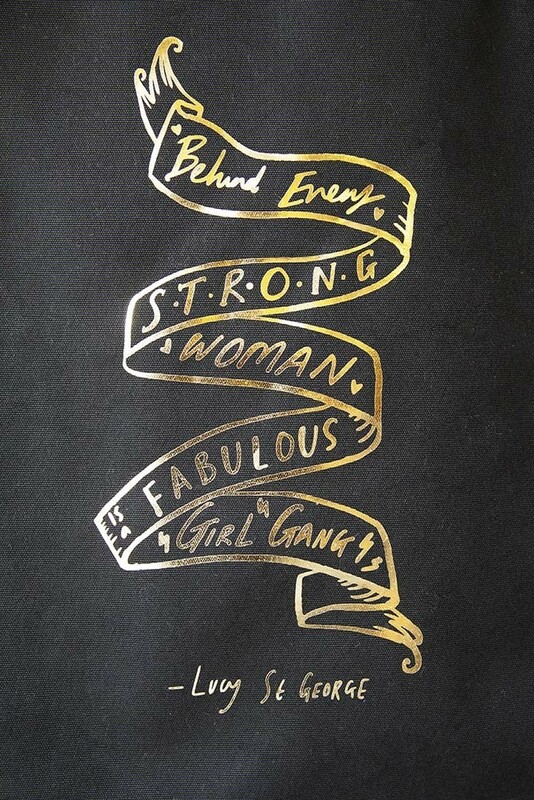 Behind every strong woman is a fabulous girl gang! Designed by co-founder, Lucy St George, in collaboration with Rock On Ruby to raise money and awareness for Dress For Success this lovely reusable bag includes Lucy St George’s life quote, ‘Behind every strong woman is a fabulous girl gang’, a lovely sentiment to women supporting women, don’t you think?! A charitable tote bag with 20% of proceeds going to the registered charity, Dress For Success, the vision behind the charity is to empower women by providing them with skills, tools and clothing to get back into the workplace. In the signature Rockett St George colours, black with gold writing, this unique bag can function as a gym bag, overnight bag, groceries bag, handbag and so much more! 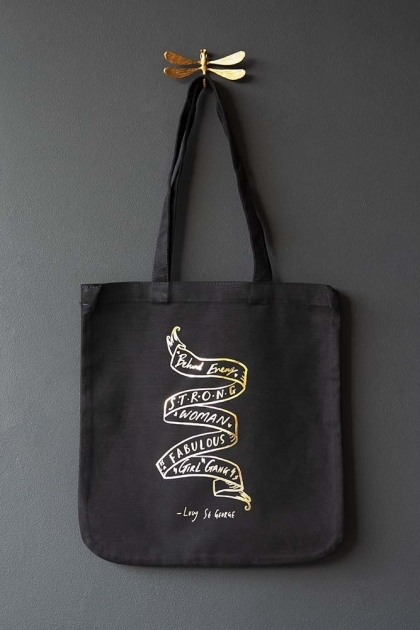 So go on, support your local girl gang with these fabulous tote bags!